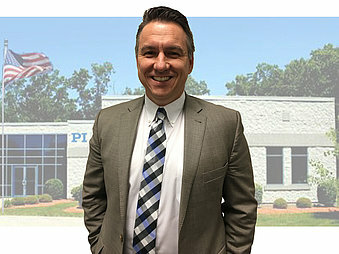 January 18, 2019 - Company - PI (Physik Instrumente) L.P.
Rego’s solid understanding of and relationship with US-based internal design and manufacturing teams complements his 18 years of growth and leadership in PI’s sales operations. January 2019, Auburn, MA – PI (Physik Instrumente) L.P., a worldwide leader and solution provider in motion control and positioning components and systems, announces Dave Rego is the new Vice President and General Manager of PI’s North American Operations. Rego has proven himself over his 18 years of successful growth within PI USA’s sales operations and in progressive sales leadership while working at PI USA’s Auburn headquarters. He has also built excellent relationships with key customers, and gained a solid understanding of PI’s manufacturing capabilities, an important factor in PI USA’s future growth. Rego, who holds a BS in Mechanical Engineering, a BA in German from the University of Rhode Island, and an MBA from Babson College, had been handling PI's key industrial accounts on the East Coast for several years and brought a substantial and knowledgeable background in precision motion technology, leadership, and project management skills. “PI has been fortunate to grow our partnerships with leading global companies in the fields of Semiconductor processing, Metrology, Life Sciences, Research, and Photonics.”, states Rego. “We also continue to build a strong team and expand our precision motion technologies to address new markets and customers. Every day, we interact with pioneers in their own fields who need precision to create, measure, or explore, and that makes PI a fun place to be."